Have you tried our brand new Tripsget Trip Cost Calculator app for iPhone? It will tell you exactly how much money you will need in your next trip based on YOUR travel habits! Try it for free now or read more about Tripsget in this post. In this post, I’ll try to shed some light on how to choose a hotel in Bangkok and in which district to stay in Bangkok. 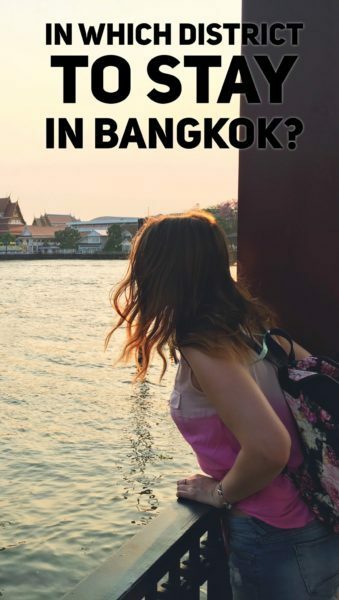 I know that many people actually feel frustrated when they need to find a hotel in Bangkok, so they try to find appropriate information online. So did I. But unfortunately, I couldn’t find any good information telling me about the best locations of the hotels. Bloggers were only telling about their accommodation (usually it was just 1) and it wasn’t really any helpful for me. I spent 2-3 days trying to find a perfect hotel reading TripAdvisor and Booking.com reviews, browsing the website of public transport in Thailand and various blogs. In the end, we booked a hotel, but I still wasn’t 100% convinced. 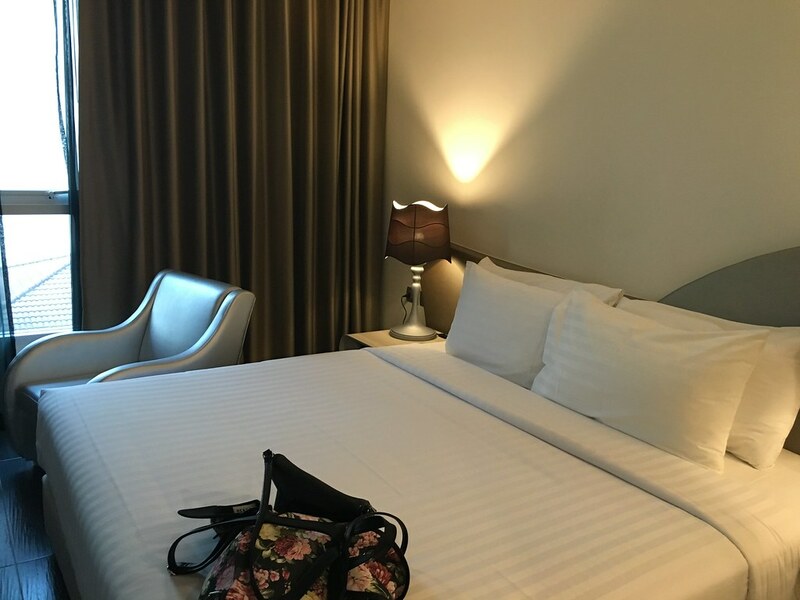 Now, after our trip to Asia, I can evaluate these hotels, where we stayed (we had to choose 2) and give you some insights on various districts in Bangkok for your hotel choice: in which district to stay in Bangkok? First of all, Bangkok is huge! And as most of the huge cities, it has such problems as traffic jams and pollution. Traffic jams in Bangkok are really a problem. If you take a taxi or hire a car, you can experience «all the beauty» of traffic in Bangkok. I felt like the cause of enormous jams on the road could also be the traffic lights: sometimes you feel like you’re in the jam and the line is not moving at all, but it turns out to be just a traffic light which changes to green every 5(!) minutes only for 1 minute. I felt like 5 minutes of waiting is a little bit too much, but I guess Thailand government knows better and it happens so for a reason. The situation on the roads is the worst from 3-4 pm to 9-10 pm. At this time, it’s better to avoid taking taxis at any price. But…. how to get to different places? Unfortunately, the metro system is not yet very much developed and doesn’t reach many districts, including Khao San Road. So, well. Seems like if you’re living in the city centre, you NEED to take a taxi anyway. So, in which district to stay in Bangkok? If you’re staying in Bangkok only for a couple of days (up to 4 days), it really makes sense to live near the Khao San Road. 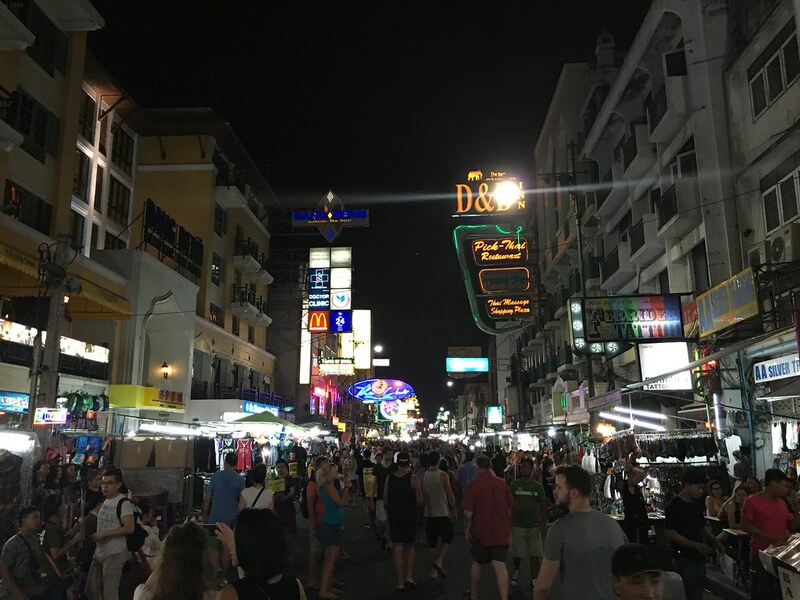 It’s a great place for cheap street food, bars, and clubs and it’s also described as the «backpacking area» of Bangkok. Khao San road is not very far from the Royal Palace of Bangkok and from the Harbour (from where you can take a tour through the rivers of Bangkok). So this place is perfect for sightseeing & nightlife. 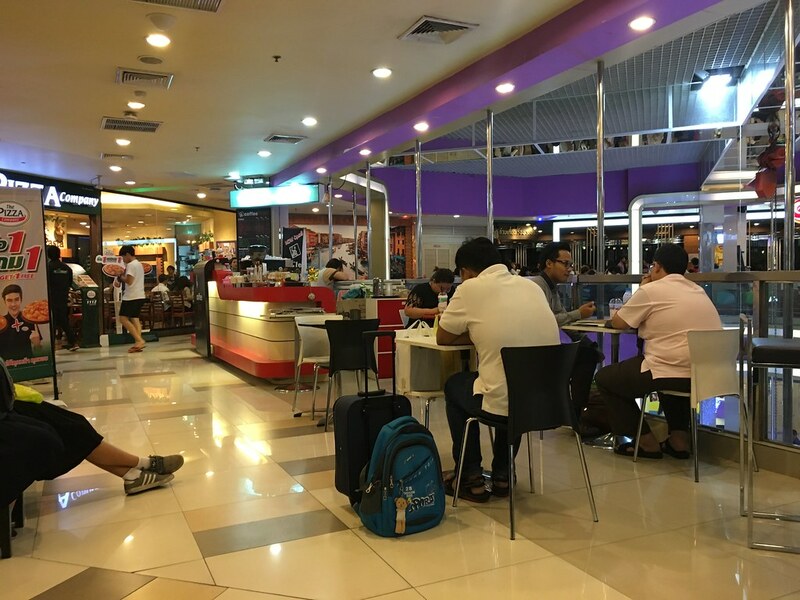 Moreover, It is very well connected to the public transportation system, which is a great benefit because you don’t have to stay in the traffic jams in case you’re heading to some bar or to a shopping mall. Finally, the famous Red Light District of Bangkok is also located around here. If you want to have lots of shopping and the busiest shopping malls along with lots of various restaurants at hand: head to Siam. It has also a great connection to the metro, so you don’t need to stay in the traffic jams for hours. 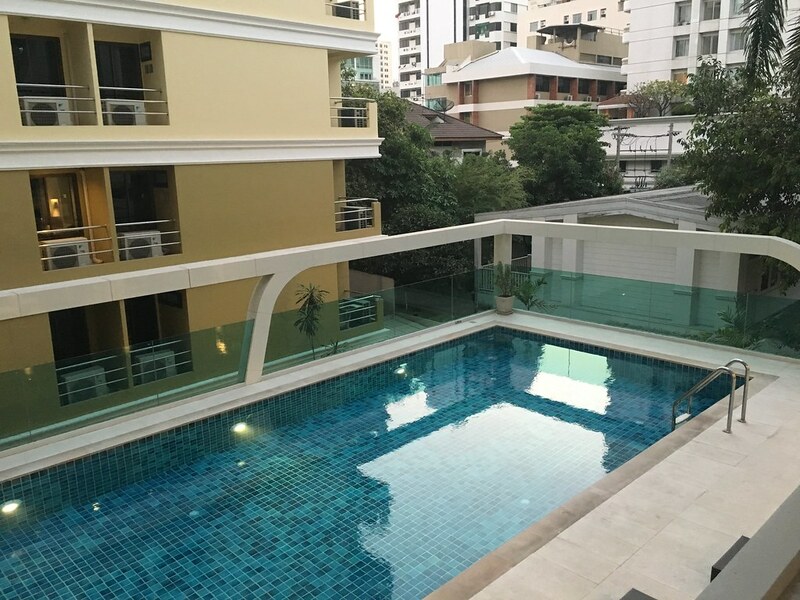 If you value your time and want to be as close to the Airport express as possible (just like us), you can stay in Phaya Thai & Victoria Monument neighbourhood. This area is the main transportation hub for Bangkok – all the buses to the outskirts of Bangkok leave from here. Moreover, the airport express leaves from the Phaya Thai station. We stayed in the Le Tada Parkview hotel just in the middle between Victoria Monument and Phaya Thai station during our first stay in Bangkok. The hotel was just perfect: very modern and new! Only maybe the breakfast could have been a bit better. During the second stay in Bangkok, we stayed in the True Siam hotel. It was a bit cheaper but it was quite disappointing to stay there: the room looked old and not so nice. Not a hotel where you would like to come back. The only good thing about the True Siam hotel was its location: just 5 minutes away from the Airport express. 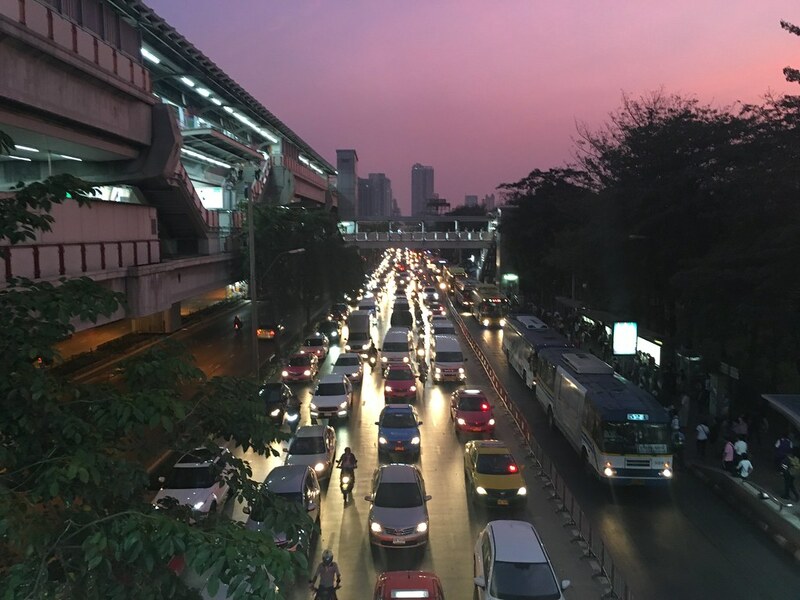 The district where we stayed, Phaya Thai, has probably the most traffic jams but it has very good BTS (metro) connection. Also, there are a couple of very affordable shopping malls nearby as well as TONS of street food. Playa Thai is great for the shortest stay in Bangkok when every minute counts (but in this case, head to the sightseeing spots quite early and leave as late as possible, otherwise you’ll end up being stuck in traffic for 1.5 hours). Chinatown is also a possible spot for staying but I wouldn’t recommend this place. It’s way too crowded and has traffic jams even at night. Moreover, Chinatown doesn’t really represent Thailand, it looks exactly like….Chinatown everywhere else. With Chinese characters, Peking ducks hanging in every restaurant and so on. 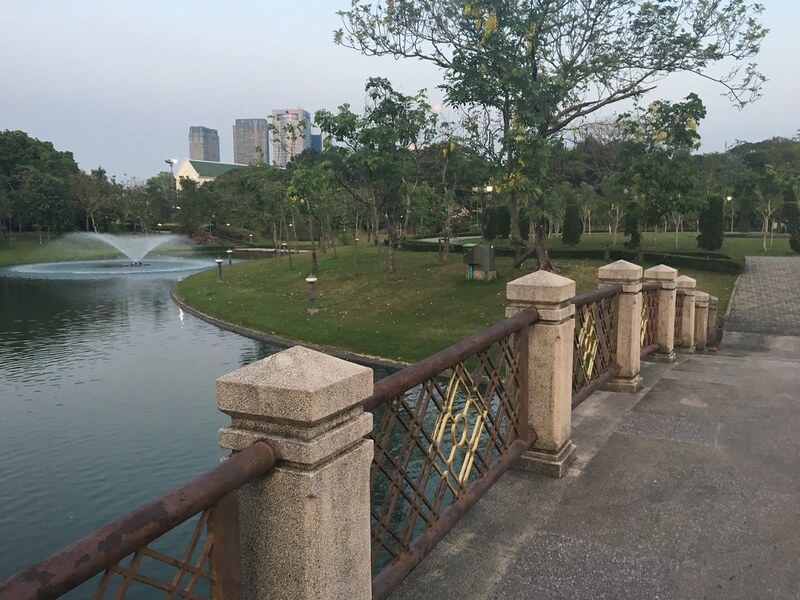 Chatuchak district has an amazing park, Chatuchak park and is located 20-minute walk from the Mo Chit Bus Terminal (from where you can go to Pattaya and Cambodia and many other places). Also, it has great transport connections, many markets, and shopping malls. A pretty good choice for a long stay in Bangkok! Well, that’s all about hotels in Bangkok. If you have any questions, don’t hesitate to comment below or drop us an e-mail! Like this post about “In which district to stay in Bangkok?” – share it on Pinterest! Best Black Friday travel deals 2017 – find the biggest discount! Highly recommend the area of Ari. On the BTS between Chatuchak and Phaya Thai – which you mention. Great street food and higher end food places. Saphan Kwai is worth a look. 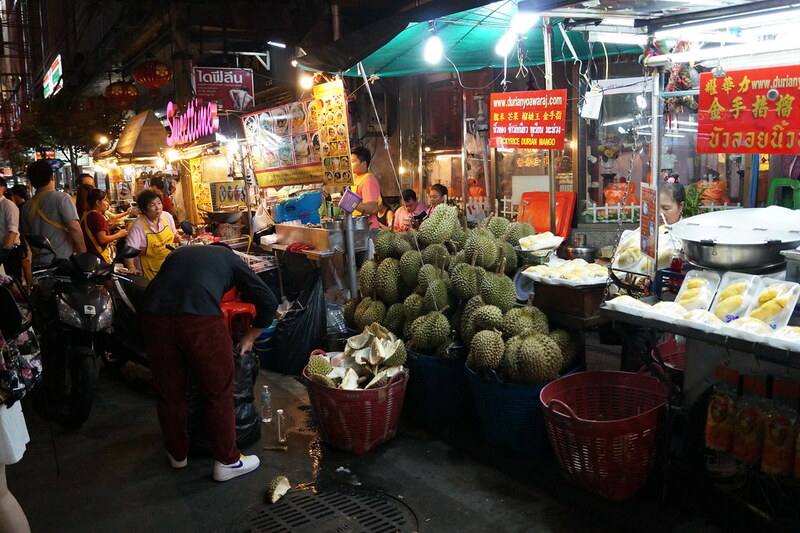 A little dirtier, but great food stalls and walkable to Chatuchak for the weekend markets. Loads of accommodation choices from low end to high end and a load of AirBnbs to choose from. Great place for a long stay in BKK as it’s quite a homely and village-like feel. WHAT WOULD BE BEST FOR INDIAN.